Whether you’re already a fan of the juniper spirit, or looking for an intro, World Gin Day is the perfect opportunity to get involved. World Gin Day is a global celebration of all things gin. The idea is simple: get people together all around the world with a legitimate excuse (not that we need one) to drink some gin, whether it’s in a cocktail, G&T or neat (yes, you can drink gin neat!). 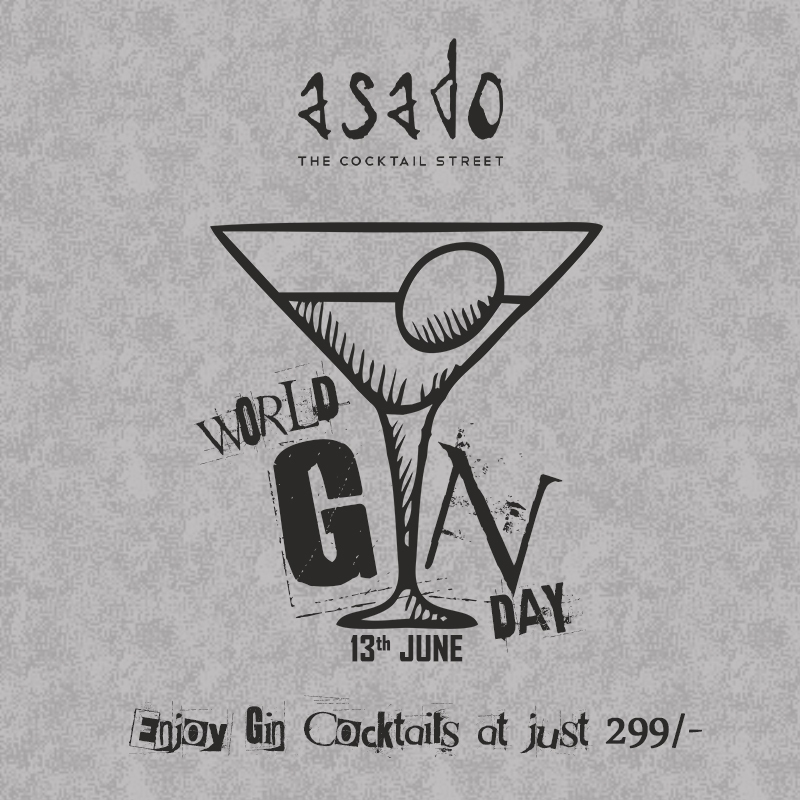 "Asado the Cocktail Street is a dream-child to revolutionize the crafting of the cocktails in India's most cosmopolitan city. Innovation & passion of making drinks for our patrons with locally available fruits and spices along with house-made syrups & bitters gives our concoctions a unique touch not only the way they are meant to be consumed but also lets each one taste the distinct flavors blended with sprits. We at ‘Balu Hospitality Ltd.’ always believe in innovation at all our ventures (Zouk & Loco Chino) & the need to explode the flavors in India's vibrant cocktail culture led to the birth of Asado the Cocktail Street".